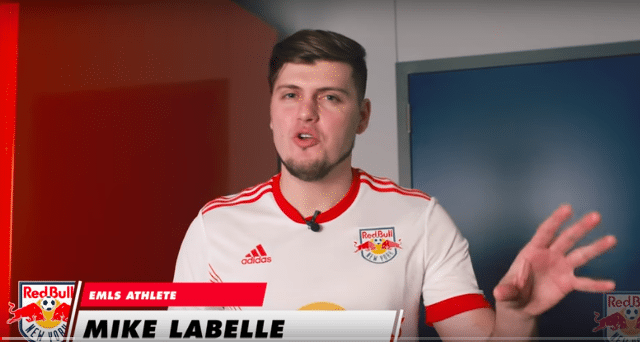 The New York Red Bulls made headlines at the open of 2018 when the team brought in Mike LaBelle as its eMLS athlete. Bringing with him an audience of hundreds of thousands of followers from his video content, LaBelle has quickly emerged as a key face in the rise of eMLS. Cynopsis asked him about joining the team and his secrets to creating content. From your POV, what was the process of being recruited by the Red Bulls? Prior to joining the New York Red Bulls, I worked with Red Bull the energy drink on some freelance projects when I was living in Houston. So, I had already established a working relationship with the brand and later that year our team won the Neymar Jr’s Five qualifier which increased exposure at least on the energy drink side of the brand. The following year the MLS talks had started to develop at least from a behind the scenes conversation regarding an Esports initiative. Due to my work with Red Bull I believe my name was brought up in the conversation as a player of interest to potentially represent the New York Red Bulls in the eMLS. The first time I met the RBNY staff was in NYC for a FIFA event at the Microsoft Flagship Store on 5th avenue. I hosted a tournament that included a 2v2 with Tyler Adams and Derrick Etienne Jr playing with the finalists of the event. During this same trip, I chose to make a visit to the stadium to get an idea of work climate and also meet with additional RBNY employees. This was the beginning of our relationship. We discussed goals, soccer, and we aligned well on a shared interest with content creation. The process of joining the Red Bull’s family going forward included phone calls, emails, and also contractual details as becoming a Red Bull athlete. The club was also kind of enough to fly out my mother and I as well to attend a Playoff game in 2017. What has been the reaction since you joined? What is your schedule like with them? I’ve received a warm welcome at the organization from the fans, the players, and the staff. Online I would also say the announcement of the signing went over amazing on all of our social outlets. The excitement around the eMLS is REAL! I also moved to NYC area in order to be able to truly experience the culture and work with the team as much as possible. My schedule is BUSY! I’m streaming 20+ times per month, creating at least another 15+ videos, and updating social handles on the daily. I don’t have standard hours at Red Bull Arena, but I’m creating content each week. I’ve done media with Bleacher Report, Barstool, Copa90, Fortune Magazine, Cooligans, NY Post, Cheddar on Wallstreet, Microsoft, etc… I almost work as a liaison bridging the gap between gaming and soccer to help create this fluid relationship. As a content producer, what are you keys to building audiences? Be engaging with your audience. As you put out content, make sure to REPLY… LISTEN TO THE PEOPLE! The people are always right. Don’t ignore their feedback. Create a posting schedule. Your content will become people’s TV Shows! What do you hope to see as FIFA Esports continues to grow and mature? What is your dream scenario? I want to see a competitive calendar for the year. Where every single player, and the supporters know when events are happening and how many throughout the year well ahead of time. Also, MORE events will be crucial to building out an Esport initiative properly. Players need to build consistency and have opportunities to play events every 2-3 weeks to stay dialed in. Ex: Professional tennis players have events outside of the Grand Slams. These are used a tune up events and allow players to practice what they have learned. Keeps the players crisp in preparation for the larger events.